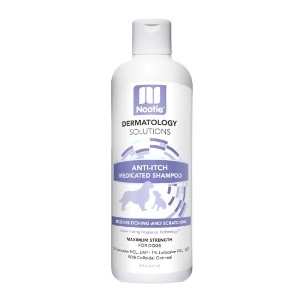 Nootie’s soap free Antimicrobial Shampoo is for dermatological conditions associated with bacterial and fungal skin infections responsive to Miconazole Nitrate 2% and Chlorhexidine Gluconate 2%. It is delicately formulated with our Soft Lily Passion fragrance which leaves your pet’s coat shiny, soft and smelling great! 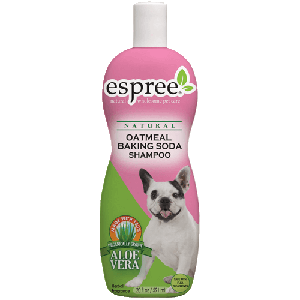 Espree Oatmeal Baking Soda Shampoo combines natural and organic Oatmeal (a natural soothing agent), Baking Soda (odor remedy) and Aloe Vera (coat & skin hydrator) to formulate a fresh and soothing bath. 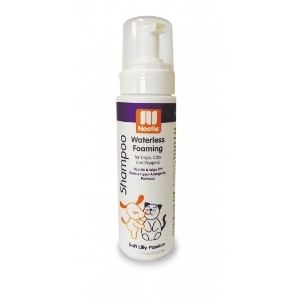 Shampoo odors away and calm itchy irritations with our simple and effective solution. 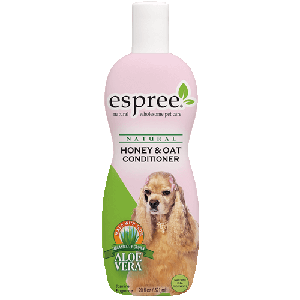 Espree Honey and Oat Conditioner creates a beautiful coat. Pure Bee’s Honey and wholesome Oat add body, shine, and eliminate tangles. With soothing benefits we like to think of it as comfort food for fur! 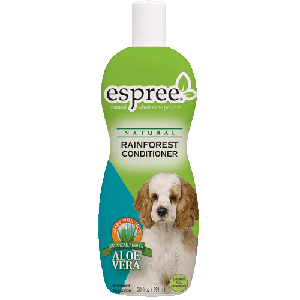 Espree’s Rainforest Conditioner is a richly fragrant hair reconstructing conditioner. 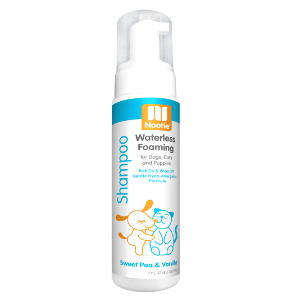 Nourishing natural and organic ingredients leave your pet’s coat soft and shiny. May be used before or after shampooing to demat and detangle. 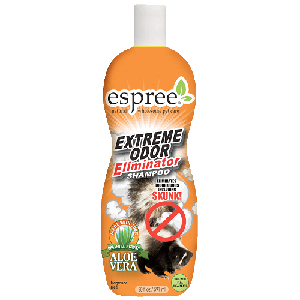 For Best Results use with Espree Rainforest Shampoo. 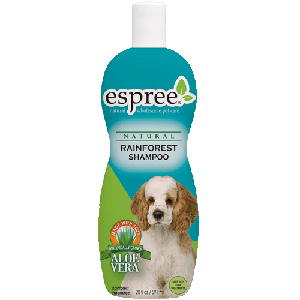 Espree’s Rainforest Shampoo is a richly fragrant, natural and organic all-purpose shampoo. Our deep cleansing Aloe Vera based formula adds body and shine to all coat types. 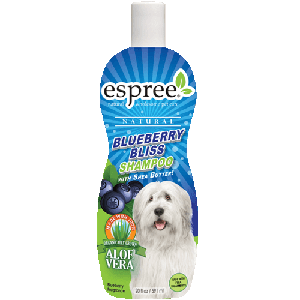 A healthy skin, coat and facial shampoo full of vitamins, Blueberry antioxidants, minerals, Shea Butter and organically grown Aloe Vera. Our fragrant formula is gentle and tearless for facial use to easily clean away staining and odors. Perfect for coat brightening, cleansing and neutralizing of excessive oils for a full body shampoo. 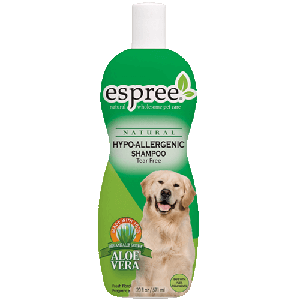 Espree’s Hypo-Allergenic Shampoo is a gentle tear free solution for the most sensitive pets. 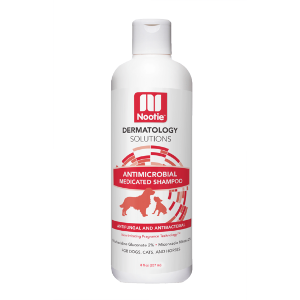 Formulated with natural and organic ingredients including Aloe Vera, mild coconut based cleaners and Jojoba to clean and condition pet’s skin and coat. 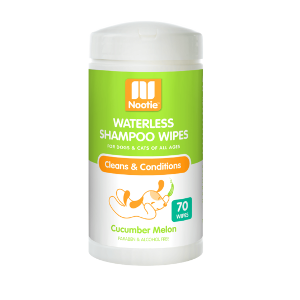 Perfect for allergy sensitivities.